Good doctors should be paid well. Good doctors make huge sacrifices, racking up huge schooling bills and sacrificing sleep and personal time to serve their patients. This, along with the desire to attract talented minds to medical practice, makes paying doctors well incredibly important. However, when a doctor’s pay, including Medicare and Medicaid reimbursements, is way out of line with his/her colleagues, it raises a red flag. High billings can be one sign of health care billing fraud. It is one of many pieces of evidence that our California medical billing fraud law firm in San Francisco uses to evaluate and build a qui tam (aka whistleblower-brought) case against providers who commit health care fraud. A San Francisco Chronicle report published last week focused on the indictment of Dr. Robert A. Glazer on a charge of conspiracy to commit health care fraud, a charge involving allegations that he defrauded Medicare, filing $33.5 million worth of phony claims. Prosecutors allege that between January 2006 and May 2014, the Hollywood, California-based doctor billed the agency for services that were not medically necessary and sometimes hadn’t even been performed. They also suggest Glazer received kickbacks tied to phony hospice, wheelchair, and other medical supply prescriptions. One witness said she was offered everything from shoes to oil to rice and beans in exchange for coming to the clinic and that the clinic wouldn’t let her leave until she agreed to a sonogram. Further, Glazer ordered more than 1,000 power wheelchairs in the timeframe in contrast with other providers, even those focused on senior care, who may prescribe one or two a year. 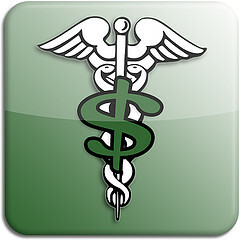 In December, the Office of the Inspector General for the Department of Health and Human Services filed a report titled “Reviews of Clinicians Associated With High Cumulative Payments Could Improve Medicare Program Integrity Efforts.” Motivating the report was evidence that from 2008 to 2011 approximately 2% of clinicians accounted for nearly 25% of Medicare Part B payments. Investigators identified 303 clinicians who claimed to provide more than $3 million in Part B services in 2009, selecting 104 for improper payment reviews. As of the close of 2011, 80 of those reviews had been completed and $34 million in overpayments identified. The authors concluded that identifying clinicians associated with high cumulative payments could help the agencies identify clinicians for review. Investigators recommended establishing a cumulative payment threshold and creating a process for identifying and reviewing claims above the threshold. Medicare agreed to create such a threshold, taking service type and provider specialty into account. The agency further agreed that reviewing claims from high-billing providers could be a valuable screening tool. It is important to note, as an NPR blog entry from last month states, that high charges don’t always indicate fraud. The American Medical Association (“AMA”) opposed making billing records public, suggesting the numbers are vulnerable to misinterpretation and lead to providers being wrongly accused of fraud. The article, co-authored by a Northern California reporting group, notes that some providers legitimately have higher claim levels. Take, for example, a Colorado doctor at the only academic medical center for hundreds of miles. Other practices refer their most complex cases to the office, cases that properly support a higher billing level than a routine office visit. Despite AMA resistance, Medicare billing data recently became a matter of public record. We wholeheartedly support this move. The public has a right to know where our healthcare money goes and billings can be an important clue pointing to possible fraud. High billings, especially when they are high within the context of location and specialty, are suspicious but they are not conclusive proof. High billings can be legitimate and the level of Medicare billings is just one factor we look at when determining if a provider committed fraud. We conduct thorough investigations to provide a range of evidence in support of the cases we pursue and we only pursue cases we believe are just, a principle that guides all areas of our practice. Bringing a claim against an innocent provider is never our goal and does not advance the goal of fighting health care fraud. If you have witnessed behavior and/or billings that suggests a provider in California is engaging in health care fraud, call to schedule a meeting with our California whistleblower’s counsel. Together we can build a case and confront the fraud while protecting your interests. Whistleblowers may be entitled to significant compensation for helping the government recover fraudulently obtained funds.